Over two decades ago, Taiwanese experts in bamboo weaving and bamboo cultivation came to Latin America as part of a team from Taiwan’s International Cooperation and Development Fund that visited the Republic of Haiti, the Dominican Republic, the Republic of Nicaragua, and the Republic of Ecuador. Today, much as in the early years in Taiwan after World War II, it seems de rigueur for every home in these countries to have bamboo chairs and end tables. And all of these pieces of furniture are the result of craftsmanship and skills transferred from Taiwan. 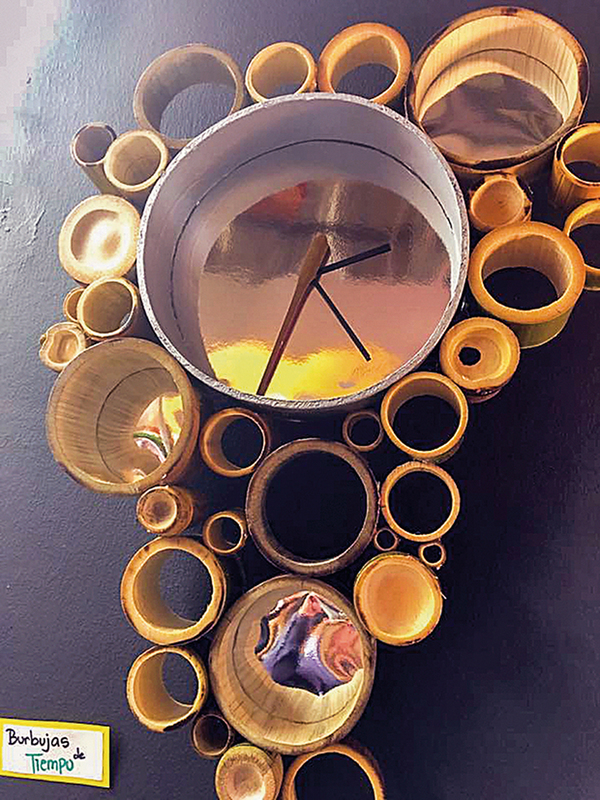 In January of 2016, Kevin Yu-jui Chou, a bamboo craft designer who has won prestigious awards both domestic and international (including Germany’s iF and Red Dot design awards), headed off to the Caribbean to visit the Dominican Republic. 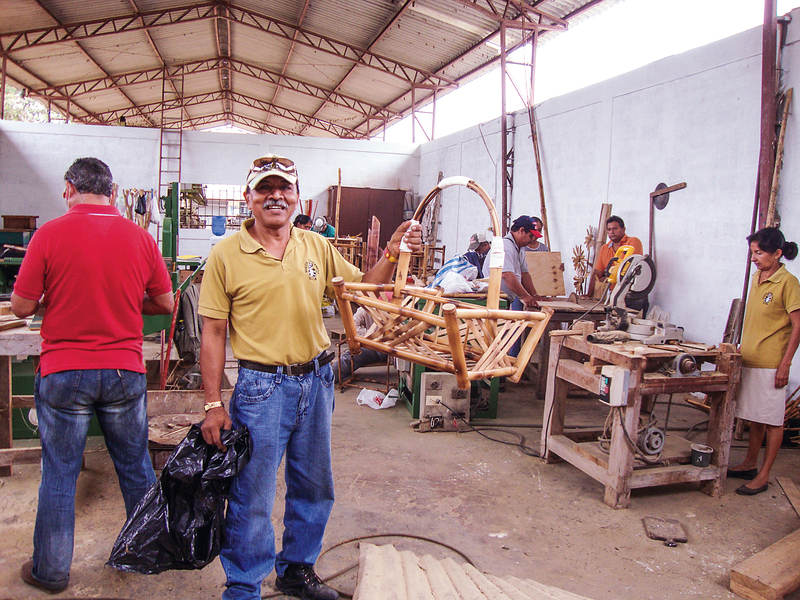 His purpose: To hold a two-week workshop at which he would introduce the latest design concepts, as well as his many years of accumulated “tricks of the trade” for ­processing bamboo, to local design students and people from the bamboo industry. But it is nothing new for experts and scholars like Chou to be invited by the International Cooperation and Development Fund to go to places such as the Dominican Republic, Ecuador or Nicaragua to hold workshops on the design and use of bamboo materials. “As long ago as 20 years or more, the ICDF was already sending technical aid teams to other lands, and invited Taiwanese experts in rural crafts, including master bamboo craftsmen, to go to Haiti to launch an aid program for the bamboo industry in that country,” says Liu Shih-hung, deputy director of the Technical Cooperation Department at the ICDF. Liu relates that in those days you could see the difference between Haiti and the neighboring Dominican Republic just by flying over their shared island. “When you looked down, the part that is the Dominican Republic was dense jungle and forest, but when you looked toward Haiti, what you saw instead was a stretch of bald, sterile soil.” To assist in improving Haiti’s environment, the ICDF took into account the local climate and conditions and chose bamboo with a five-to-seven-year growing cycle as the main reforestation and recovery crop. Bamboo was chosen because, unlike most trees, you don’t have to start from scratch replanting when the material is harvested. “The more bamboo gets cut, the more densely it grows,” explains Liu. And so it was that in the late 1980s the ICDF provided manpower and funding to assist Haiti with a program to develop the bamboo industry. After many years of effort, the area of Haiti covered by bamboo forest had reached targeted levels, and the program was expanded geographically to other Latin American countries including Guatemala and Ecuador. Moreover, the goals were enlarged as well, from simply helping the poor raise their incomes and satisfy their daily needs to developing a complete integrated bamboo industry—from cultivation of bamboo seedlings, to design and production of products, to marketing and sales. Liu says that the bamboo industry plan in Haiti in the early days was mainly aimed at helping farmers and individuals working out of their homes to supplement their incomes by transforming bamboo material into simple furniture and handicraft items. But from the 1990s the ICDF somewhat altered its strategy. 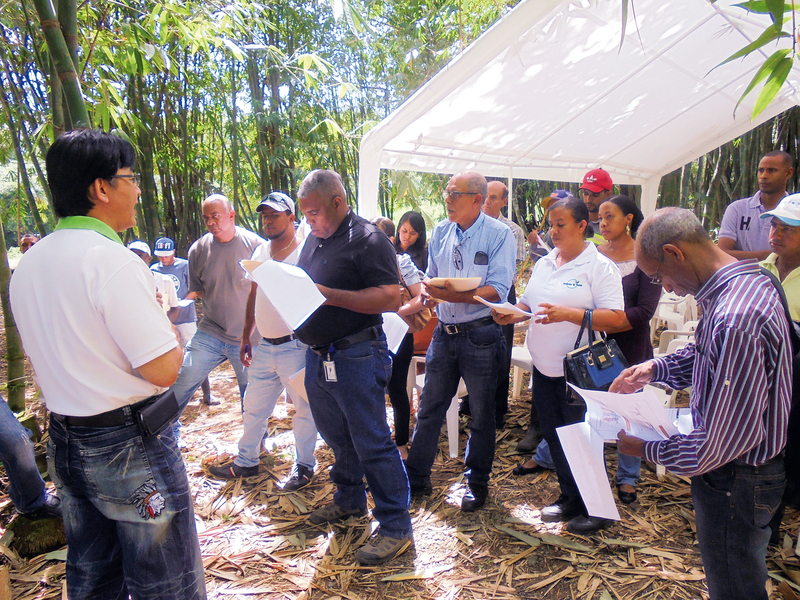 In ­addition to the breeding and reforestation program, they also had Taiwanese come to introduce bamboo strip laminating machines. Because they had previously lacked any bamboo processing technology, local residents could only cut raw bamboo and make it into very simple finished products. But after the introduction of the laminating machines, it became possible to process bamboo into boards as tough as wood. This bamboo board can be used in many ways—such as furniture and decorative building material—and it permits the enlargement of the scale of operations of the bamboo industry as a whole. Over the past two decades and more, besides cultivating large areas of bamboo forest the ICDF program has also assisted in the creation of bamboo processing centers in a number of Latin American states, including the Dominican Republic, Ecuador, and Nicaragua. The ambition is to build a comprehensive bamboo industry chain, from seedlings to cultivation to processing, and all the way to marketing and sales. However, Liu frankly admits that it is no easy thing for an entire industry to take shape. “The key is market size.” If the products don’t meet the needs of any market, there would be no incentive for local residents to get involved in cultivation and production. Therefore, the ICDF holds international conferences with relevant nations, inviting scholars and experts to share their knowledge and experience, and to promote the applications of bamboo to local residents. Taiwan designer Kevin Yu-jui Chou accepted an invitation from the ICDF to take part in the bamboo industry development project in January of 2016. He went to the Dominican Republic, where he offered a two-week workshop. 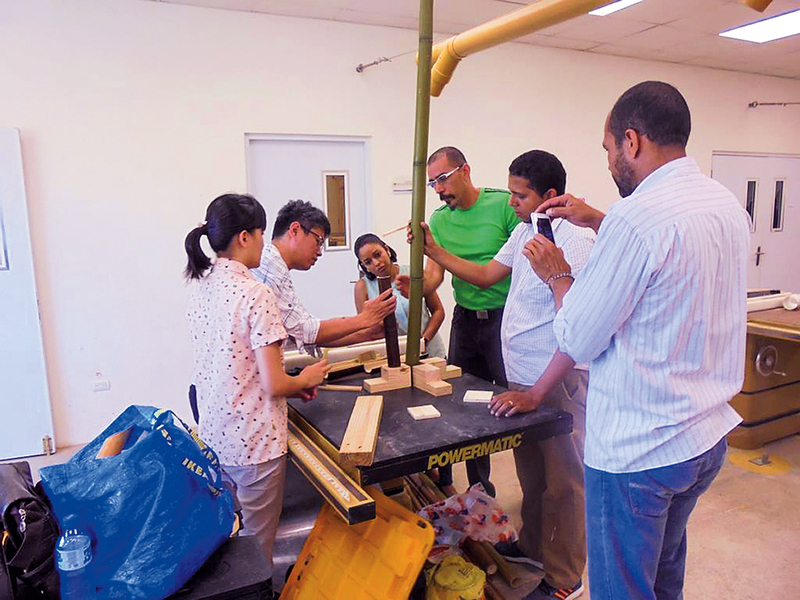 He brainstormed with local design students, experts, and people from the bamboo industry, transforming bamboo material that had been cultivated for many years into innovative but still practical products. Chou is no stranger to creative uses of bamboo. 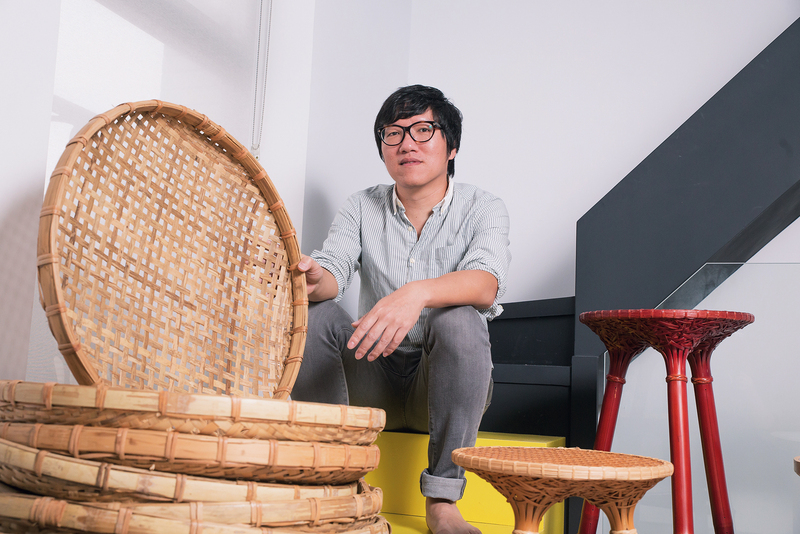 Since 2006, at the behest of the National Taiwan Craft Research and Development Institute, he has worked with a master bamboo craftsman from Zhu­shan in Nan­tou County to come up with a whole series of innovative designs—such as “bubble couches,” “long-legged bamboo chairs,” and “bamboo electric fans”—that have won major awards home and abroad. 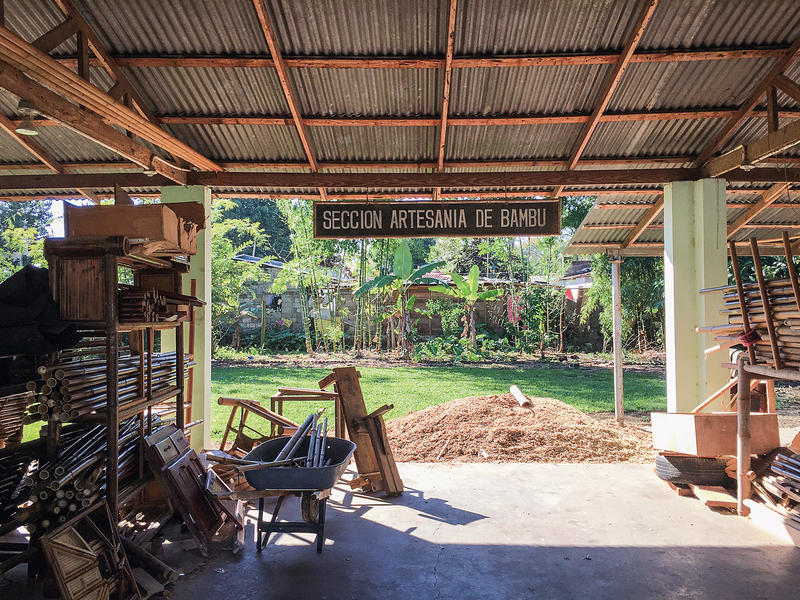 Chou observes that the Dominican Republic’s bamboo industry is still in the development stage. Although local citizens and businesspeople understand how to manufacture household furniture like chairs and tables out of bamboo, the designs and patterns are all very traditional, like the bamboo chairs and tables that Taiwanese used to have in each and every home. Because the Dominican Republic lacked the necessary processing machines, businesses and citizens mainly just cut some bamboo from the bamboo groves and, after some simple processing, made furniture out of it. This approach adds little value, and so attracts few people to join in, making it difficult to get any momentum for the development of the industry as a whole. 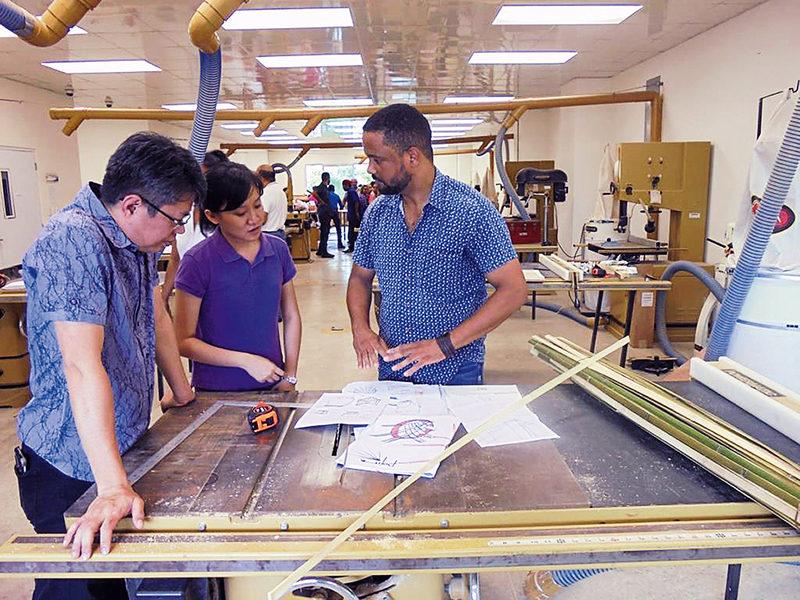 In recent years, the ICDF has brought in several Taiwan bamboo strip laminating machines to the Dominican Republic, effectively assisting local people and businesses to improve their processing techniques. Bamboo processed in this way loses its natural appearance, and after planing and compression, ends up as board that can be used much more widely than natural bamboo. 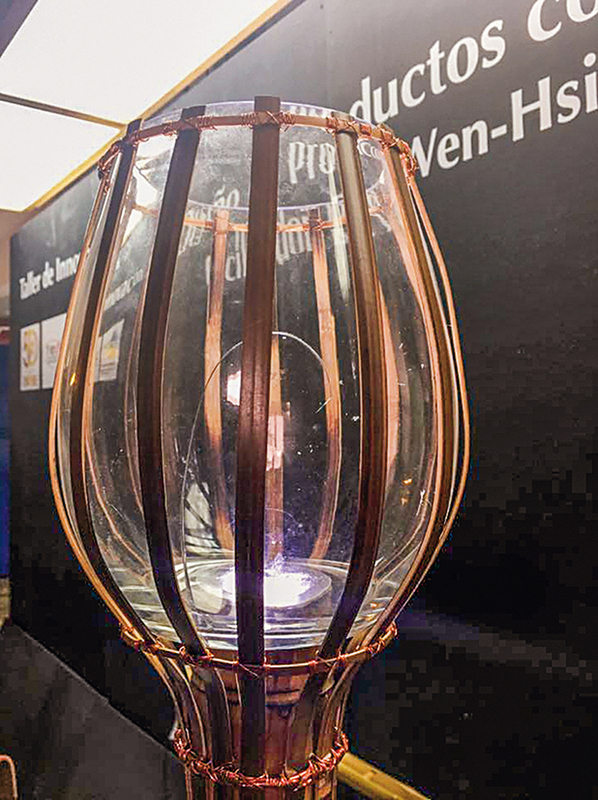 Chou, who stays abreast of the latest design trends in Europe and North America, says that even though bamboo is no longer of great interest to Taiwanese consumers, in recent years it has become widely appreciated in the West as a “green, environmentally friendly” material. If you browse through a current IKEA catalogue, you will see at a glance various beautifully designed household items made using bamboo, such as mirror frames and tissue boxes. Having been invited to show at globally important furniture shows in Milan and Dubai, Chou was able to share his experiences of participating in international design shows with the workshop students, and also introduced to them practical examples of contemporary European and American furniture design. This information really broke down their preconceptions about bamboo. 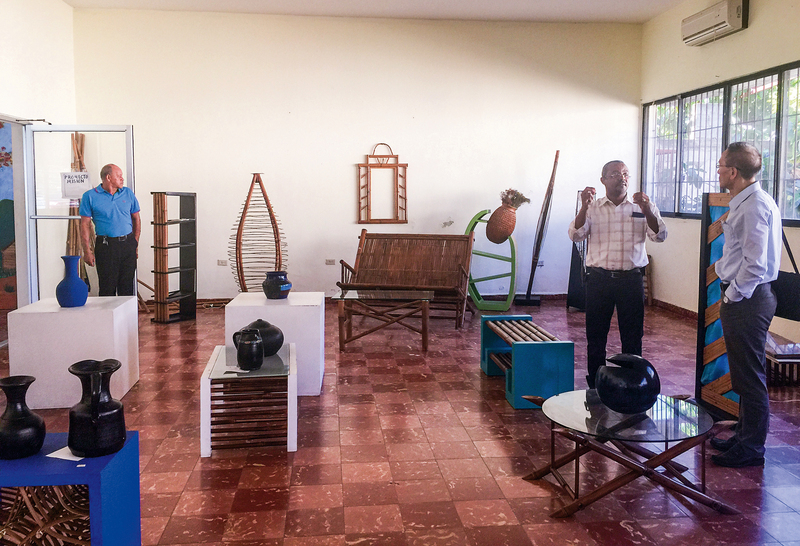 Chou had never previously been to the Dominican Republic, and he admits that before going there he assumed that local residents only knew how to do the basics: cut down some bamboo and make functionally designed items for daily use. But after several days of observation and interaction in the classroom, the performance of the workshop attendees was far beyond what he had anticipated.